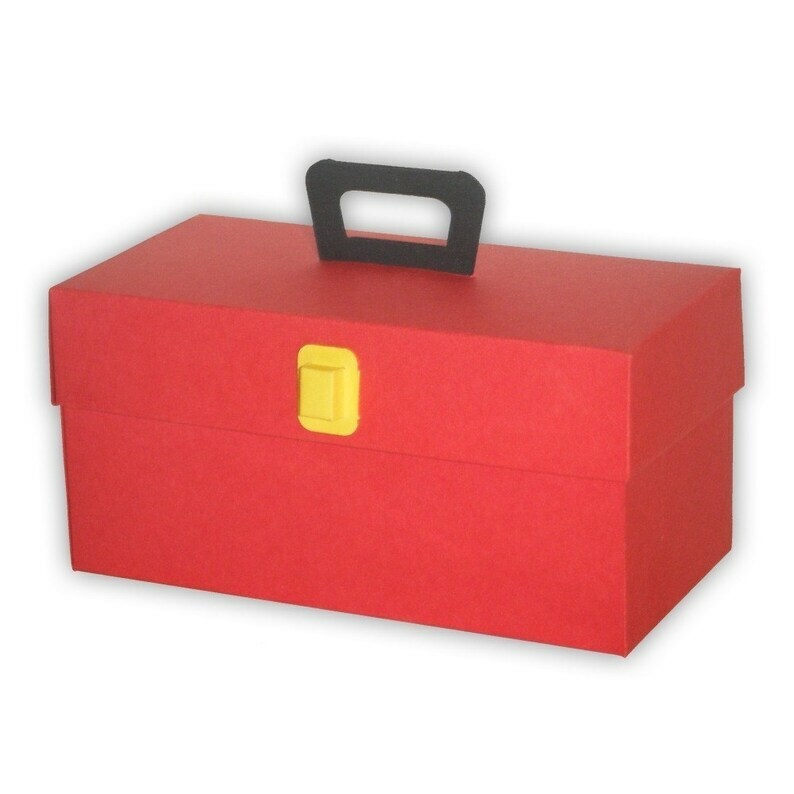 IMPORTANT: tool box template will be slightly modified from the images used in this listing. You'll receive a printable digital pdf template and assembly instructions; you will not receive a fully assembled, physical box. This box will hold all your party tools. This box will NOT hold your power tools. If your idea of a party tool is a power tool, that’s your problem. Choose Your Colors: since our digital PDF files can not be modified please select your color choice for the toolbox and handle when adding the template to your shopping cart, lock color is always yellow. If you have a specific color combination in mind that we don't offer or prefer a different color for the lock please contact us and we'll gladly try to accommodate your request. Image Colors Shown in this specific listing: Red toolbox, with Yellow lock and Black handle.